When preparing to travel, lay out all your clothes and all your money. Then take half the clothes and twice the money. ~Susan Heller The money is fixed at £500 plus flights for 7 nights backpacking around the Greek Islands. The flights to Crete are booked and one night at the Kastro Hotel is reserved via Booking.Com and both were well within the budget. I just hope we manage to find some equally good bargains on rooms in Santorini and wherever else we visit. Packing, that is a different matter. We saw these UPPTÄCKA backpacks at Ikea and bought them because they have wheels too. When we used rucksacks on our RTW trip we so rarely needed to haul them on our backs and I really struggled with carrying my pack even though it weighed less than 10kg. 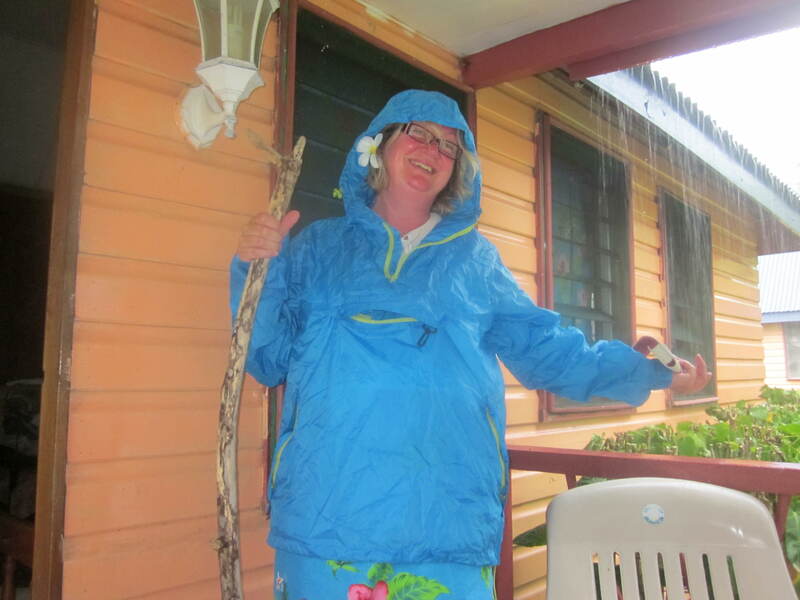 I guess I am less a backpacker and more a flashpacker and at 55 I have nothing to prove. I am also a convert to packing cubes. The pink and blues ones are also from Ikea. No hunting at the bottom of the bag for undies or socks. And full, they all fit perfectly into the larger rucksack. I have found these on the left purchased at Lakeland so useful, keeping cables, adapters and plugs all in one place, combined with these adaptor wraps, also from Lakeland. 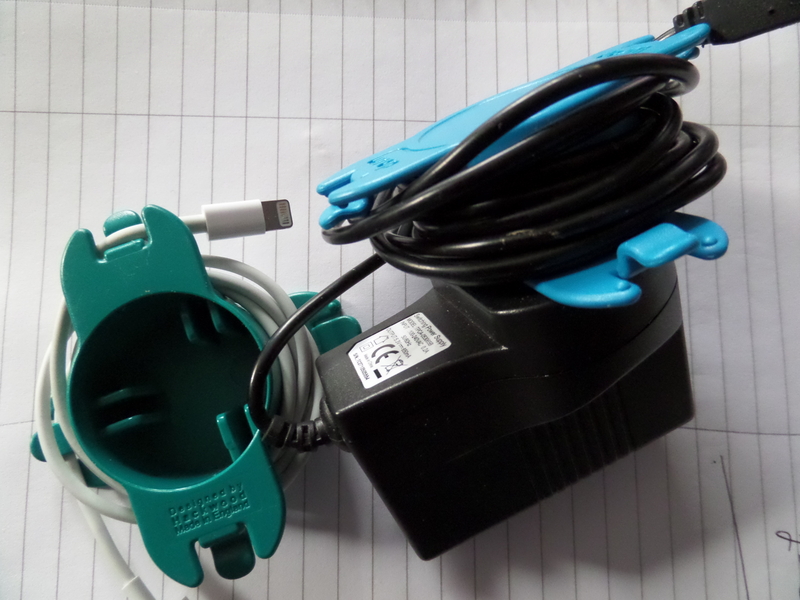 These certainly help me not to leave any adaptor plugged in at a hostel or hotel. And when, inevitably I have to unload my hand luggage to be searched at airport security. We also need to be prepared for cooler evenings as Greece in April can be chilly, yet if we are hopping on and off ferries I don’t want to be lugging a heavy coat on a warm day. My trusty Kag in a Bag combined with a warm top will have to suffice. One pair of shoes to travel in and one pair of sandals. And that is it. 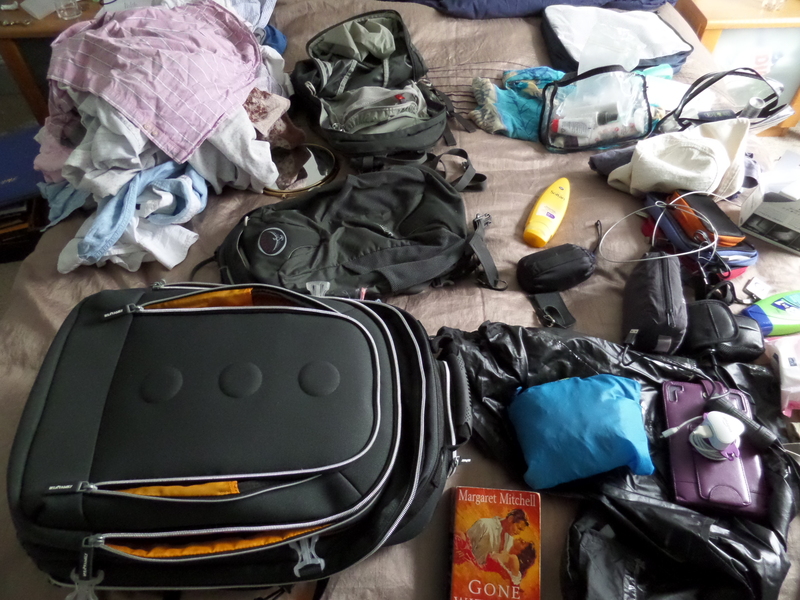 It all has to fit into these two rucksacks, one to check and one as carry on. If I could only take one carry on that would be ideal, however the airline we are travelling with have a 5kg limit for hand luggage. We had to pay £48 for each bag we check, and have an allowance of 20 kg per bag. The 20 kg cannot be split over two bags, you pay for the bag not the weight. Who needs 20 kg for a week in Greece? Reluctantly I paid for two bags on top of the flights. The fact that the flights dropped in price by £40 the day I booked somewhat softened the blow. Still Thomsons, it is a silly policy. 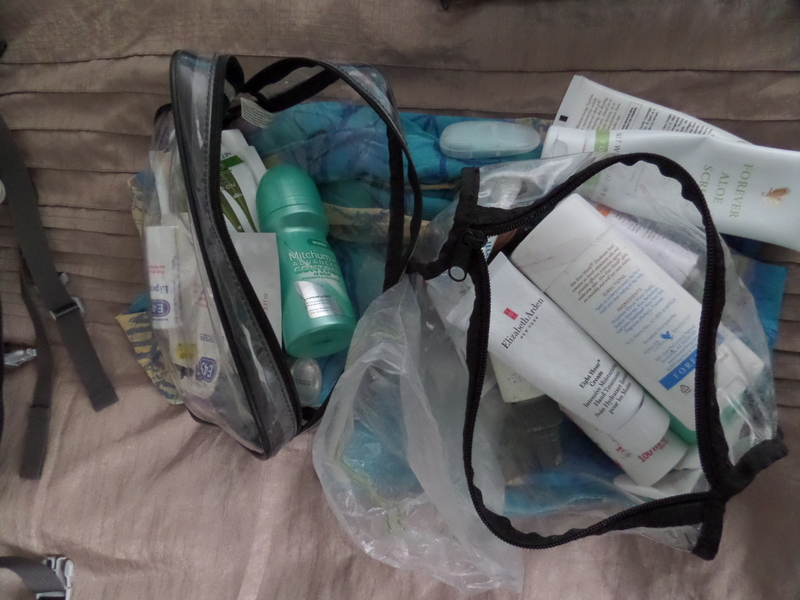 The bulkiest and heaviest items (apart from shoes) are toiletries. I keep saying we will cut back, and always struggle to do so. I have bought a 3 in 1 shower/shampoo/conditioner, I use hardly any make up and have had my hair cut in an easy to manage style (thanks Vangelis) as I am definitely not taking hair dryers and straighteners. Maybe one hair product to project it from the sun. Sun lotion, toothpaste, Eight Hour Cream and Bare Minerals Sunscreen and that is all. Did me for 5 months on the RTW trip, will certainly do for 7 days in Greece. I am packing and flying tomorrow, wish me luck. And please feel free to share your packing tips with me. This entry was posted in Europe, Greece, Travel and tagged Back Packing, Back Packs, Bare Minerals, Crete, Greece, Packing cubes, Packing light, Packing tips, Thomsons by Travelling Coral. Bookmark the permalink.